We use and supply most of the 3D printing processes currently available (SLA, SLS, DMLS, FDM) complemented by vacuum casting, manual/CNC machining, conventional model making etc. in a way that is appropriate for each project or stage of product development. Investment casting from tooled wax patterns or 3D printed wax patterns is used for metal parts, if this is more efficient than using 3D metal printing. 3D printing is not just for producing prototypes, it can be used for part manufacture in volume or as a one-off depending on size, material and cost constraints. As there is no fixed tooling, part customisation is easily accommodated so whether one or many are produced, every one could be different. 3D printing is a valuable process for design validation as prototypes can often be produced faster than conventional processes. These prototypes are typically used for customer approval, to simulate a particular material or a fully finished and working model for testing, marketing or exhibition display. 3D printing is a revolutionary process that has become an additional manufacturing process. However, not everything can be 3D printed. Processes currently available have restrictions such as material choice, build speed, size, precision fits and surface finish. Precision fits and finishes still have to be produced by conventional means to overcome these limitations. 3D printing cannot currently complete with high-volume production processes. Machined, extruded sections, sheet metal and welded assembly prototypes are often designed and prototyped in collaboration with a supplier, especially when large. Long metal and especially plastic extrusions are challenging to produce by 3D printing at present, especially if they are to simulate the production material. 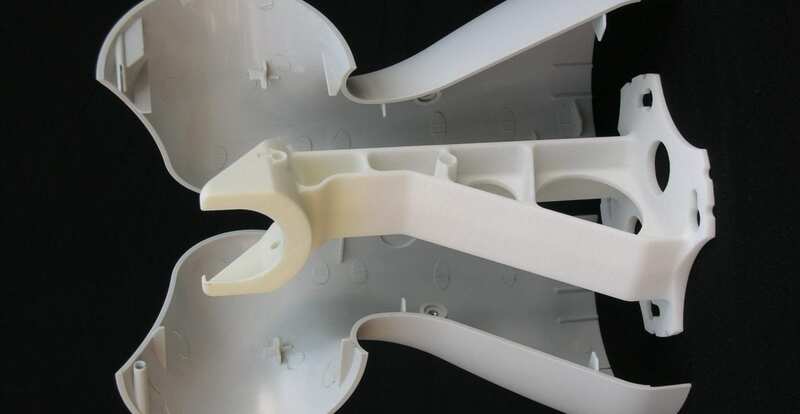 Prototypes can be produced with secondary processes such as vacuum casting and investment casting but the cost can be high and uneconomic for large parts. CAD simulation is vital in reducing development risk for these types of component as a prototype may not be feasible. A production or prototype production process may be necessary to produce parts in the correct material. During product development, there needs to be enough prototyping to adequately realise and prove a design; the risk of not doing this can be counterproductive and costly. Prototyping cost must be established at the project start as a balance has to be struck between sufficient prototyping and the risk of addressing problems later in a project when parts may have been tooled and are in production. 3D printed prototypes are sometimes required at several stages during a project. This may vary from a single part for design validation or a small batch for product testing. 3D printing can be used in many ways but is valuable in testing out a design to avert many problems before manufacture. It is well known that the cost of correcting a problem escalates as a project evolves. After tooling, the cost is many times that of correction at the prototype stage which in turn is many times that of a design stage correction. We work proactively throughout the design process to help avoid such problems. 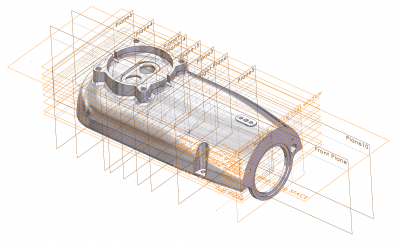 In line with this, suppliers such as toolmakers are often provided with a rapid prototype to aid their design review and visualisation. 3D printing is used to help reduce development times. We use it to parallel up project activity that would not be possible by conventional means. It is also a powerful aid to design visibility for the designer, manufacturer and customer. 3D printing is now used for direct digital manufacture or “CAD to part” in situations where production volume is relatively low, design complexity relatively high, design change probability is high and start up investment is high. The benefits of this approach can include no machining or tooling cost, the production of high integrity parts, reduced lead times, inventory reduction, components supplied on demand, and design can be changed during production with small costs. This “tool-less” manufacture allows a significant change in design as it is design for use rather than conventional manufacture. Parts can also be designed and manufactured that are difficult or impossible by conventional means. A wide range of materials are available and this continues to increase. These include plastics, metals such as tool steel, stainless steel, cobalt chrome, low alloy steel, titanium, aluminium and precious metals such as gold, silver, platinum etc. Part cost to volume break even must be evaluated before embarking on this approach as there will be a point where some form of production tooling will be more cost-effective and affect the design approach. 3D printed direct digital manufacture is ideal for industries such as automotive, jewellery, aerospace and biomedical implants, surgical fixtures and guides custom designed for the patient.